Kylie Applique Alphabet - 3 Sizes! - $19.99 : Fancy Fonts Embroidery, Home of the ORIGINAL Trendy Dots Font! 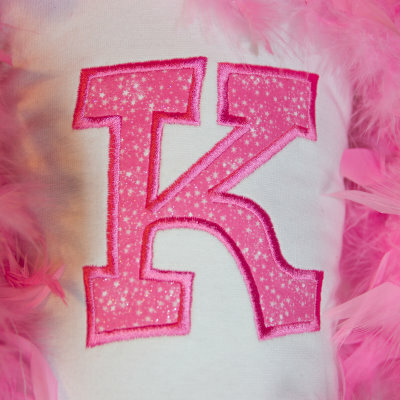 Kylie Applique Alphabet comes in 3 sizes digitized with extra tack down underlay for a lofty satin finish! Plus as a bonus you get the matching lower case letters in 3 sizes, perfect for stacking names! The 3 sizes of capitals measure approximately 2.5 inches in height (4x4 hoop), 3.5 inches in height (4x4 & 5x7 hoop), and 4.5 inches in height (5x7 & 6x10 hoop). The 3 sizes of lower case letters measure proportionately with the upper case letters. Lots of sizes for all your embroidery needs!